How does the LG G7 ThinQ compare with the LG V30? Which smartphone is most impressive? The direct duel between the two smartphones shows that the two high-end series no longer demonstrate many differences. Note: This comparison was made with a pre-series model of the LG V30S and a pre-series model of the LG G7 ThinQ. The LG V30S is identical to the LG V30 apart from the memory configuration. 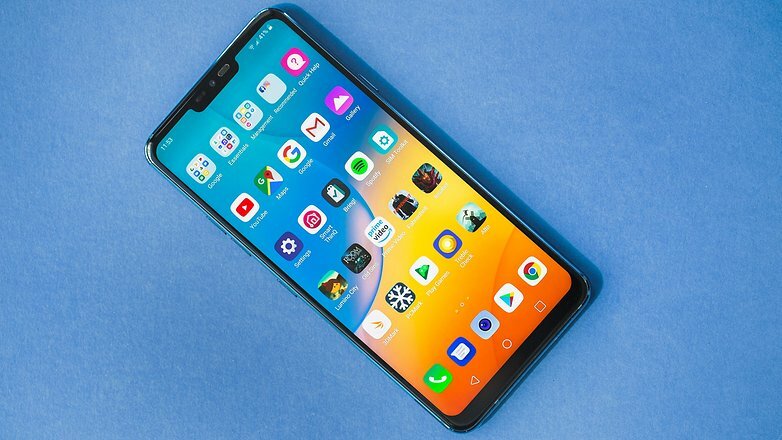 The designers of the LG G7 have given the new smartphone a frame that combines the core elements of the LG G6 with core elements of the LG V30. 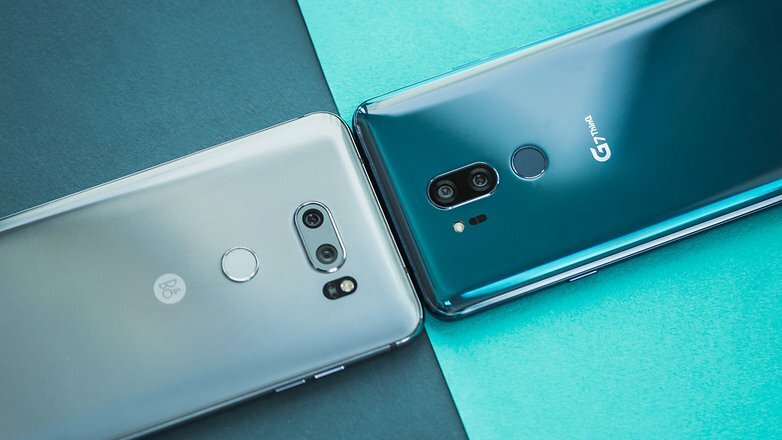 The edges of the G7 are rounded, but are slightly wider than the LG V30, while the LG V30 has a slightly larger radius. So the LG G7 looks a bit more angular. The picture above shows two striking differences. The LG V30 uses narrow frames above and below the display, but no notch. 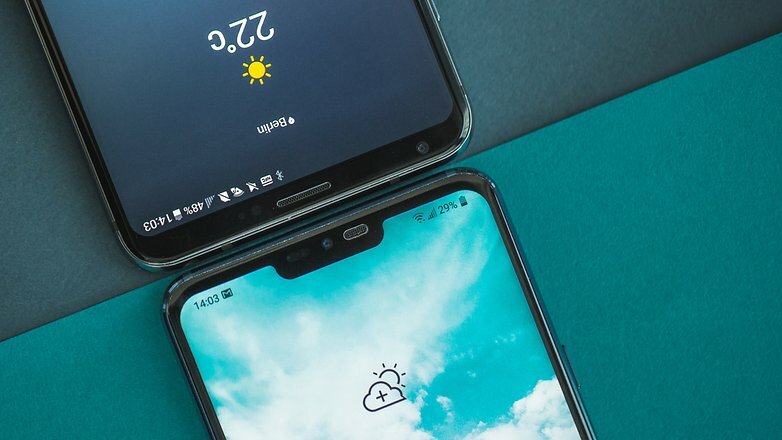 If you look at the diagonal of the display, there’s one small difference: the LG G7 has a 6.1-inch display, while the LG V30 has a 6-inch diagonal. But the aspect ratio is different: 18:9 for the LG V30 against 18.9:9 for the LG G7, resulting in a longer but narrower G7 display. In practice, this means that the LG G7 will be in higher demand. The LG G7 has a better grip, and because it’s a little thicker than the V30, it’s easier to hold. Apart from that, there is hardly any haptic difference between the two smartphones. The G7 is a few grams heavier. One very important difference between the smartphone is the display technology used. Yes, LG even goes as far as saying, “This is the main difference between the V and G series now". The LG V30 uses an OLED panel, whereas the LG G7 ThinQ has an IPS panel. But what’s the difference? According to LG, the IPS panels achieves up to 1,000 nits, which ensures better readability in daylight. However, the LG G7 ThinQ only achieves this value in boost mode, which is only active for a maximum of three minutes. Boost is either manual via the notification bar or automatic. LG says OLED cannot reach this brightness, and it’s true. The V30 and its OLED panel doesn’t reach the brightness of the G7. LG has gotten its initial display problems under control in a new production batch. That’s also visible in our LG V30S test device. The LG V30 covers a larger color space than the LG G7 ThinQ. But this has hardly any effect on everyday life: the color representation of both can be adapted to your own taste. Videos and photos also look great on both the G7 and V30. The black levels of the G7 aren’t perfect due to the technology, so the V30 is ahead in this regard. The small indentation in the G7’s display is what LG calls the New Secondary Screen, which is an allusion to the V series. In the settings you can turn this into a black background in the notification bar, so the notch isn’t so noticeable. Due to the IPS panel, the border below the display must be larger than on the iPhone X, for example. In everyday life, the notch remains inconspicuous at best, but it also reduces the space for notifications. The elongated 18.9:9 format of the G7 display is a question of taste, and it’s optimized for 16:9 displays, but even photos in widescreen mode leave an enormous amount of the display space unused. LG uses a dual camera for both smartphones, and in both cases uses a wide-angle camera. The advantage of this design is obvious: wide-angle photos can be used to create images that other cameras simply could not photograph. In the G7, LG has reduced the angle slightly, which also reduces the distortion at the edges. However, this also reduces the individual character of the LG camera. In the G7, the wide-angle camera is now also equipped with a 16-megapixel sensor. The image quality has hardly developed. Both smartphones often take good photos, but sometimes miss. Bright colors are the specialty of LG cameras. Strong performance in dim light or fast trigger times are not. The AI Cam functions are more comprehensively integrated in the LG G7, and automatic keywording in the gallery app is practical. Finally, a brief assessment of the technical data: both smartphones deliver a rock-solid performance in this regard. The G7 has the faster Snapdragon 845, which provides added value compared to the Snapdragon 835 in the V30. LG has designed its latest interpretations of the V and G series quite well. The V30 is visually eye-catching, just like the G7. The main differences are in the display and the sheer performance of the G7 chipset. Both leave a quite strong impression. 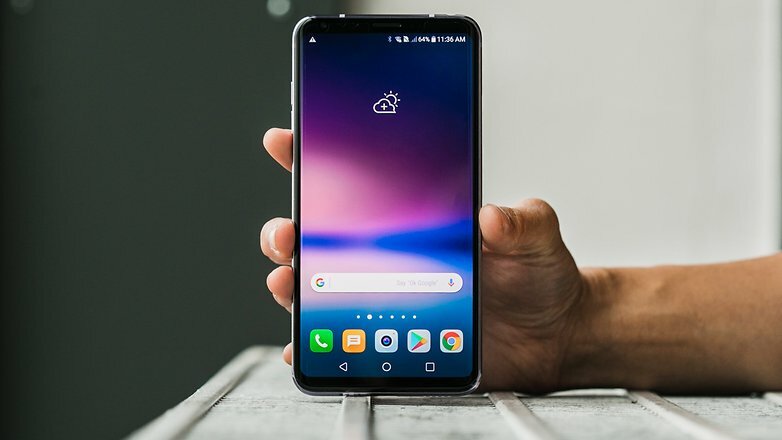 The LG V30 is more like smartphones we have seen in past years, and the G7 is more of a modern interpretation of the most bezel-less smartphone possible. Now it’s your turn: which of the two LG smartphones would you choose? More thoughts on the current LG lineup? Let us know!